Dry eye is a common eye problem that causes a person's eyes to feel dry, scratchy, or irritated. People get dry eye because their eyes either do not produce enough tears or produce poor-quality tears that do not coat the eye's surface correctly. While dry eye might seem like a minor annoyance, it can cause a great deal of discomfort in your day-to-day life, and over time, it can even cause scars to form on the surfaces of your eyes. Here's some information about dry eye from Modern Eyes Optometry, a full-service eye care provider serving the Carlsbad area. If you think your dry eye is caused by a different health problem, it's important to follow both your doctor's and your optometrist's advice on caring for your eyes. In particular, if you have diabetes, staying vigilant about your blood sugar could help you avoid losing your vision later in life. Sometimes people have dry eye without even realizing it. Other, more serious eye diseases like glaucoma also tend to cause no symptoms in their early stages. Receiving regular eye exams at your local optometry practice is the only way you can be sure your eyes are healthy. If you suspect you have dry eye, your optometrist may administer the Schirmer's test, which uses small strips of paper to measure the moisture levels in your eyes. 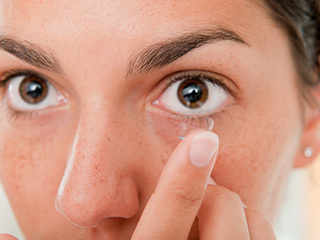 Artificial tears are a common, easy-to-use dry eye treatment. Other treatment options include using medicated eye drops to stimulate tear production, closing the tear ducts to keep more tears in the eyes, and avoiding dry or windy weather conditions. Modern Eyes Optometry in Carlsbad can help you or a loved one find relief from dry eye. Call our clinic at 760-678-0008 to set up your first appointment today.